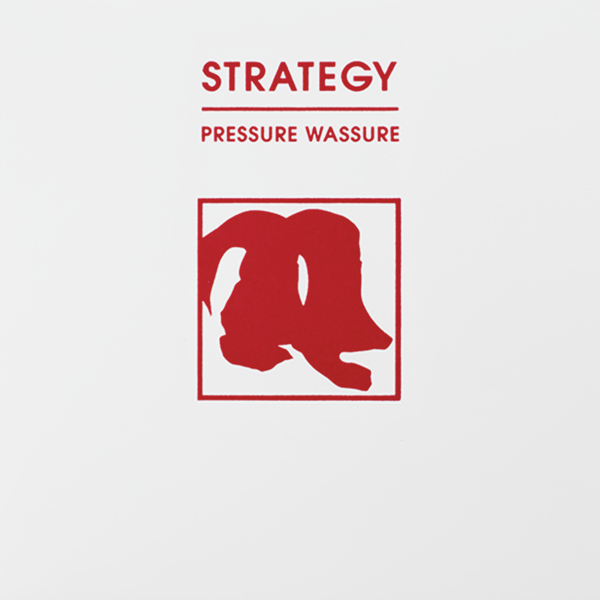 Paul Dickow aka Strategy drops arguably his best ever single with the 'Pressure Wassure' EP for LA's Peak Oil label. Operating at slow/fast and junglist 'ardcore meters and armed with a massive sack of drums and deadly subs, the vibes are super forward and infectious. On 'Osmosis' he mixes bristling 808s with slick dub chord stabs and a woozy lead recalling Ethiopiques and Eritrean melodies, whereas 'Bubble N' Snare' flexes out with wild snare cadence and booty-bass/jungle patterns. 'Mesophippus' gee's up a swinging 2-step beauty with tightest dubbing and juggling drums, and 'tainted' leans heavy ont he halfstep with spare bass pulses and pinging dub chords played right and tight for the steppers. Serious session!